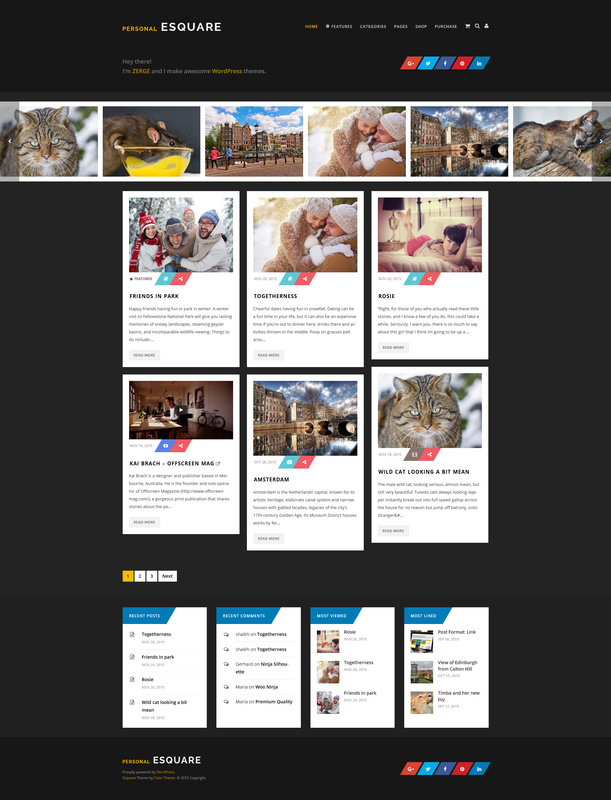 Esquare is an unique, fresh design, customizable & flexible Responsive WordPress Blog Theme. 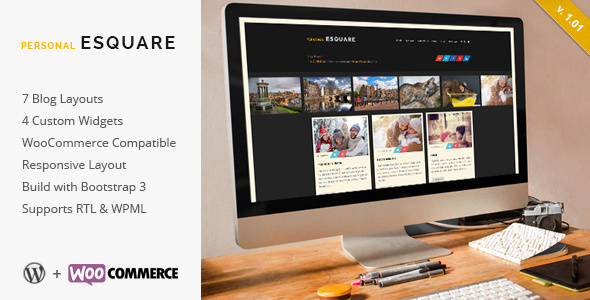 Esquare is a simple way to create your Personal WordPress Blog or WooCommerce Shop, with no technical knowledge or expertise required! We’re trying to make your job easier, so we have included 4 custom widgets that you can easily drag and drop to activate and customize. Place the widgets in any sidebar or widget area. And we’re always adding more upon user request! Official Certificate of Compatibility for Esquare Theme.